Jazz Fest in New Orleans, Louisiana is one of my favorite events of all time. I try to attend every year, and am blessed I have dear friends who live in walking distance. 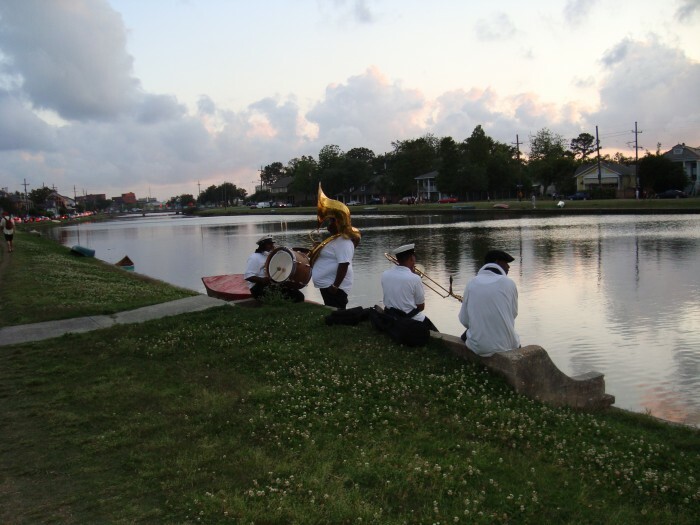 One year we left the festival and were walking back to their house on historic Bayou St. John, where we came across this tranquil scene. Four musicians, resting. It’s one of my favorite photos, because sometimes its the outtakes that hold the real beauty. Do you have any stories of outtakes that became our favorites?